※Adopting double chamber filtering bags system, remove dust compley. ※content of powder is very low. 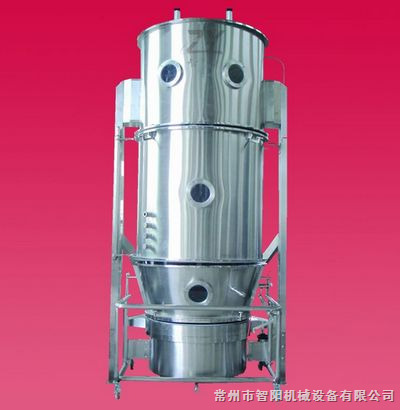 ※The machine is mainly used for the operations of mixing, granulating, drying and coating of granule "Top Spraying", etc of powder material in pharmaceutical industry, foodstuff industry, chemical industry, etc. Such as granule of tablet, granule for quick resolving drinking, condiment. 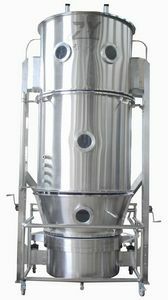 ※The machine is manufactured in accordance with JB20014-2004 《 Fluid-bed Granulator In Medicine 》 . 所有尺寸仅作参考 , 视物料情况 , 本公司拥有变更权利 , 并不另行通知 .